The unprecedented attack on Jeremy Corbyn is not because of any perceived personal failings of his, but because of the politics he is seen to represent. Corbyn’s politics pose a direct threat to the Establishment and those who own and control the wealth of this society. 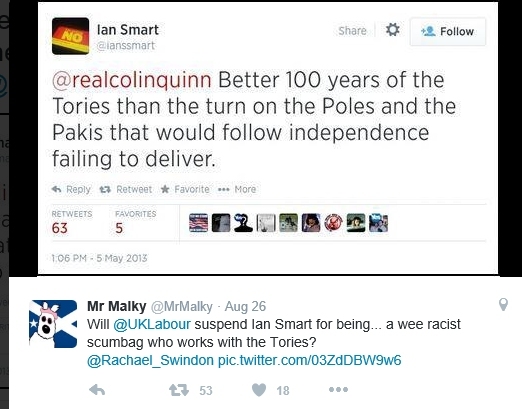 Even worse he isn’t a British nationalist. He doesn’t go along with militarism and flag-waving. In not supporting NATO and Trident, Corbyn represents a threat to the bipartisan consensus around foreign, military and security affairs. The idea that we all have common interests abroad is the basis of class collaboration between Labour and Tory parties. It leads inexorably to ‘reforms’ to the welfare state in the interests of foreign interventions and wars. Labour was the party, which under Clement Attlee, first developed the nuclear bomb and fought in Korea. That was the basis of the first cuts in the NHS and the introduction of prescription charges, which led to the resignations of Aneurin Bevan and Harold Wilson from Attlee’s cabinet. Bipartisanship means that we have common interests with the United States in suppressing popular movements abroad. To the Labour Right, it is an article of faith that nuclear weapons are a deterrnent. New Labour’s support for ‘independent’ nuclear weapons was a symbol of its support for US imperialism. In breaking from that consensus, in however timid and hesitant a fashion, Corbyn has unleashed the fury of the British establishment. To question Queen and country and to fail to bow before the monarch or sing her dirge of an anthem, is symbolic of a lack of respect for the institutions of the capitalist state. New Labour’s weakness is that it hasn’t any political alternative to the Tories. It is one reason why Owen Smith has been parodied as Corbyn-lite. He literally has nothing on offer bar a second referendum on Brexit. New Labour can offer no reason as to why people should vote for it. Its ‘electability’ is a myth. In 1997 Blair gained a victory over a discredited and divided Tory government, circumstances which will never repeat themselves. In the subsequent 13 years, New Labour lost 4m votes. It is Corbyn’s radicalism which appeals to people who have become disillusioned with a political and economic system which has long ceased to deliver for them. A system with an enduring housing crisis that only gets worse, an NHS that is in terminal decline and public services which are being slashed to the bone. There was a time when you could take a degree and survive on the grant whilst not having any fees to pay. It was New Labour which abolished grants and introduced the concept of full cost fees. It was New Labour that demonised those on benefits. They broadcast ads which talked about ‘benefit thieves’. Tax thieves eluded Mandelson’s attention. The first thing they did on coming into office was to cut single parents benefit. 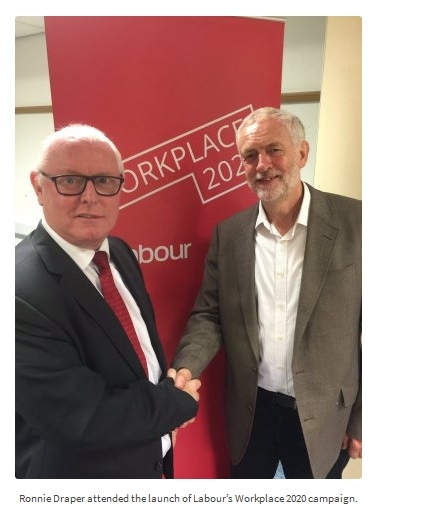 It was the cuts to benefits including the cap combined with declining incomes and people being forced into zero hours jobs and precarious employment which enabled Corbyn to be the recipient of that frustration last summer. From the rallies this year it would appear that that sentiment has not declined. The same forces of alienation that produced 4m votes for UKIP are also driving the base of Corbynism. Those who saw controls on immigration as a priority were really talking about bad housing, declining living standards and NHS cuts. They saw immigrants as being responsible for the decline of public service but they were and are open to more radical solutions. The Labour Right has reacted with fury to the breakup of the bipartisan consensus. New Labour signed up to free market capitalism and neo-conservatism as much as Thatcher did. It is not for nothing that Thatcher said that her greatest achievement was New Labour. With Labour Party General Secretary Iain McNicol trying to rig the election, it is impossible to be certain that Corbyn will win the leadership contest still less that he will win by a comfortable enough margin. The Right has ensured this time around that there was only one right-wing candidate, Owen Smith. Angela Eagle, who couldn’t even secure the support of her own constituency, became a laughing stock when the press deserted her for an announcement from Andrea Leadsom. Unlike last year, when indecision reigned as to the Right’s best response to the prospect of Corbyn winning, when just 4,000 registered voters had their votes nullified (including me!) this time a smooth operation is underway to debar thousands of potential voters. There isn’t even a pretence that this is not aimed at Corbyn supporters. It is crucial that there is an instant response now to what is blatant poll rigging. 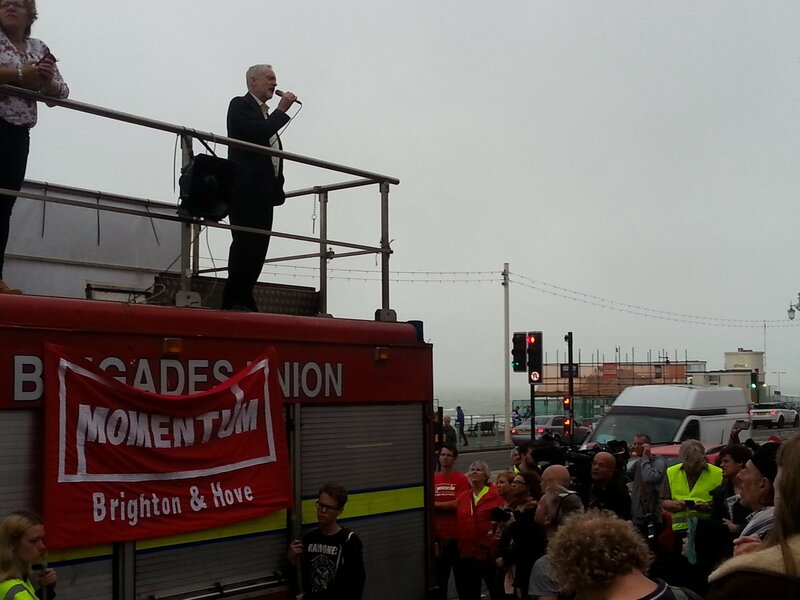 Momentum, if it has any purpose in life, should be mobilising for demonstrations outside Labour Party HQ. We should be going further, with non-cooperation locally with the suspension of parties and individuals. We should take reports that 100,000 people have been barred from voting in the leadership elections with a pinch of salt. If true then the result may indeed be in doubt since it would mean that, including the 130,000 new members who have already been barred, up to quarter of a million people would have been prevented from voting as part of the Rights’ project to restore Labour Party democracy! One thing the present crisis has demonstrated is the hollowness of the Right’s commmitment to democracy. The present system of elections replaced the electoral college because the Right wanted to free the Labour Party from union influence. It was the Right who campaigned on one member one vote. They believed that the rank and file membership of the Labour Party would support a continuation of the Blair project. This has proved to be a fatal miscalculation. But we should be under no illusion. If 80% of those who have been deprived of a vote are supporters of Corbyn, then a decisive victory may be a steep hill to climb. The Court of Appeal’s decision to overturn the judgment of the High Court and bar new members voting, was an overtly political decision. It accepted the rationale of McNicol that there was a genuine fear of people having joined solely in order to vote, despite the fact that noone in January 2016 foresaw that there would be another leadership election a year after the last one. The decision to accept that the Right’s bogus fears of entryism outweighed the contractual entitlement of members who had joined, reflected the concerns of the political establishment at the loss of a safe and reliable second party of capitalism. Ignoring members contractual rights, the Court of Appeal held that the NEC’s right to freeze the date of eligibility to vote in the elections could be backdated. Normally the word ‘freeze’ is understood as keeping something as it is. Backdating it flies in the face of the commonly understood meaning of the word. 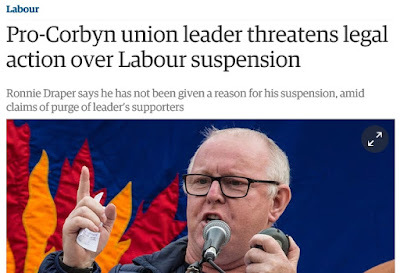 If we assume that even the best attempts of McNicol and Tom Watson MP to rig the elections are insufficient and that Corbyn wins the leadership election against Corbyn, the question is what next? 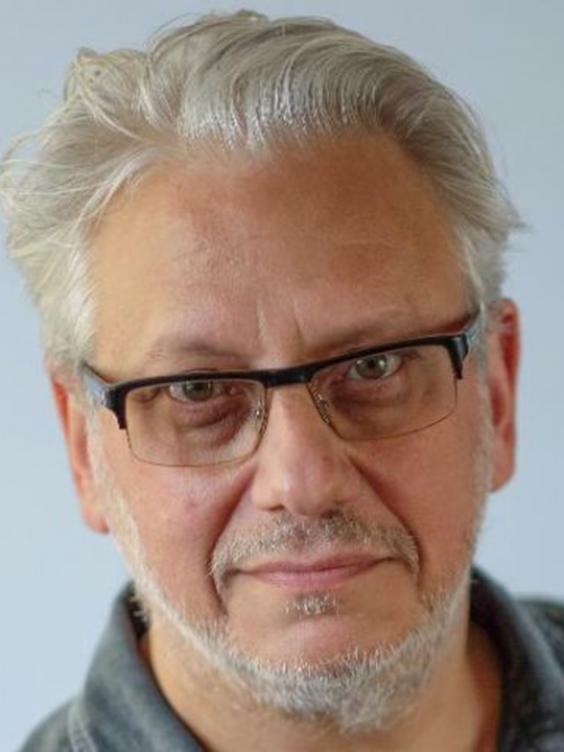 If Corbyn does not win at least 60% vote of the vote, despite the widespread suspension of members and the mass removal of members’ rights to vote, then any victory is going to be treated by the Right and the mass media as a defeat. Even if Corbyn does win more than 60% of the vote, one thing is certain and that is that the Right are not going to accept the election result. To Progress and a majority of Labour MPs, the leadership of Jeremy Corbyn and John McDonnell would be illegitimate even if he gained 99% of the vote. Despite the attempts of Owen Smith to portray himself as Corbyn lite, there is no possibility of any compromise between Corbyn and his detractors. The belief of the leadership of Momentum that they can appease the Right if they whisper the words ‘unity’ long enough is delusional. It is an act of self deception. No strategy for victory by Corbyn and his supporters is feasible or practical if it is based on the Right seeing reason or accepting the democratic decision of the membership. The majority of the PLP will never accept Corbyn’s leadership. The only thing they will understand is deselection. The redrawing of the boundaries provides an ideal opportunity to be rid of Labour’s Tories. There is a fundamental political gulf between what Corbyn represents and people like Hilary Benn. At the heart of Corbyn’s anti-austerity programme, however it is dressed up in soft keynianism, lies a direct challenge to the market economy and those who own and control the vast majority of wealth in this society. Corbyn represents the movement to reverse the transfer of wealth from the poor to the rich that began with the age of Thatcherism and continued under Blair and Brown. It raises the question of socialism – is production to be for need or for profit? The most important social questions are those of housing and the NHS. It is here that the bankruptcy of the market is starkest. We cannot solve the question of housing need and homelessness via the market. Rent controls and security of rent are essential mechanisms to ensuring that housing is no longer seen as an investment opoprtunity. Social need rather than profit poses a direct threat to those who have made their fortunes out of a booming housing economy. It also makes sense economically. Investment in land is an absurd waste of resources. There is no .increase in productive capacity. The swing in property prices poses a direct threat to financial stability. Support for the ‘special relationship’ with the United States is one reason why support for Israel and opposition to ‘anti-Semitism’ has been so prominent in the attacks on Corbyn. Support for Israel and Zionism has been a litmus test of adherence to the Blair/New Labour Project. 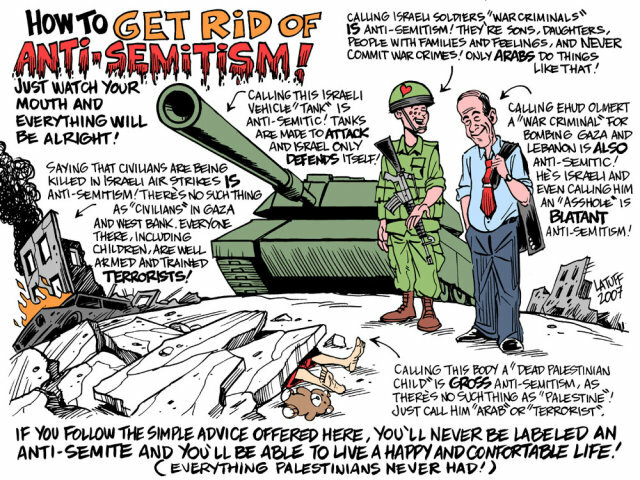 Opposing ‘anti-Semitism’ allows our rulers to dress up their support for war and terror abroad in the language of anti-racism. Like the British in India, New Labour doesn’t rationalise imperialism in terms of plunder and exploitation but as one of civilisation and anti-racism. Anti-Semitism functions as an false, establishment anti-racism. Jews in Britain today are not under attack, they do not suffer economic discrimination, low wages or state racism such as police racism and deaths in custody. British Jews are White. Geoffrey Alderman, a Jewish Chronicle columnist observed that British Jews had, by the 1960’s moved decisively into the Conservative camp. By 1961, more than 40% of Jews were located in the upper two social classes compared to less than 20% of the general population. [The Jewish Population in British Politics, p. 137, G Alderman, Clarendon Press, 1983]. William Rubinstein, the former President of the Jewish Historical Society, wrote of: ‘the rise of Western Jewry to unparalleled affluence and high status’ which ‘has led to the near-disappearance of a Jewish proletariat of any size; indeed, the Jews may become the first ethnic group in history without a working-class of any size.’ [W.D. Rubinstein, ‘The Left, the Right and the Jews’, p.51, Croom Helm, London 1982]. In what way then are Jews oppressed in this society? In 2009 the Conservatives left the pro-federalist Christian Democrat group in the European Parliament for the Eurosceptic far-right European Conservatives and Reform Group. This group was chaired by Michal Kaminski, of Poland’s Law and Justice Party. Kaminski in his earlier life had been a member of a neo-Nazi group. Pollard had no problem defending Kaminski from accusations of anti-Semitism. He wrote that Poland's Kaminski is not an antisemite: he's a friend to Jews,. In July 2001 on the 60th anniversary of the massacre Polish President Aleksander Kwaśniewski apologised on behalf of the Polish people for what had happened. A memorial was erected in Jedwabne. Kaminski led the campaign against the memorial and apology and suggested that it was the Jews who should apologise! 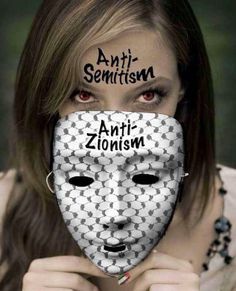 What concerns the Zionists who have led the bogus campaign against Labour Party ‘anti-Semitism’ is opposition to Zionism, what they call ‘new anti-Semitism’. According to this redefinition of anti-Semitism, Israel is the ‘Jew among the nations’. 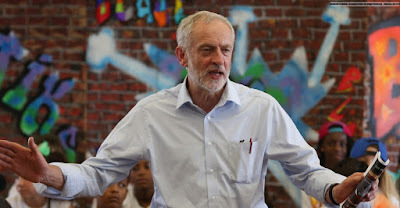 It would have been simple to put an end to the lie of Labour Party anti-Semitism if Corbyn had declared that he opposed both anti-Semitism and attempts to portray supporters of the Palestinians or anti-Zionists as anti-Semitic. Instead Corbyn prolonged and continues to prolong the campaign by accepting that it has substance. Everytime he opens his mouth and declares that there is an anti-Semitism problem in the Labour Party he makes a rod for his back. Of one thing we can be certain and that the Right will refuse to accept a Corbyn victory. There is no possibility that they will accept the validity of the election. What form this will take at this point is difficult to know. There was talk of forming a breakaway group in Parliament under the label of the Co‑op Party. That appears to have been scotched. There is a strong possibility that New Labour will form a separate group in Parliament. What should our response be? We should recognise that Hilary Benn, Caroline Flint and their co-conspirators are closer to the Conservative Party than they are to the Left of the Labour Party. Whatever minor disagreements they have with the Tories, they are as nothing compared to the chasm between themselves and socialists in the Labour Party. Corbyn will have even less time or space for manoeuvre than he did this time last year. If Corbyn is to retain the leadership of the Labour Party in the face of an all out attack from the Right, a number of things are essential. Firstly it is crucial that Corbyn begins to act as a leader of the Labour Party. That means we have to put an end to a situation where the unelected civil service of the Party, represented by Iain McNicol spends its time plotting against the elected leader. At the moment Corbyn is in office but not in power. Iain McNicol has to go along with the Compliance Unit. Corbyn should have learnt this from his mentor Tony Benn. To fail to control the civil service is to fail. Secondly it will be impossible to win over at least half of the PLP. Some people will make their peace with the Left but there are those who will never reconcile themselves to the Left such as Chuka Ummuna and John Woodcock. When I stewarded the Corbyn rally in Brighton we got instructions from Momentum not to mention the word ‘deselection’ if we were interviewed by the press. This has to cease. Changing the composition of the PLP is vital to the success of the Corbyn leadership. Far from being ambivalent about deselection a democratic Momentum has to embrace the need to change the composition of the PLP. MPs have to reflect and act as the instrument of the Party. The unelected leadership of Momentum is paralysed by indecision. In Sheffield when Corbyn spoke, the local group was told not to even have a stall at the rally. They ignored the instruction, had a stall and recruited 100 members and raised £600. Momentum should be organising a mass campaign against the gerrymandering of McNicol and Watson. That includes court action and also demonstrations outside Labour Party headquarters and MP’s offices. 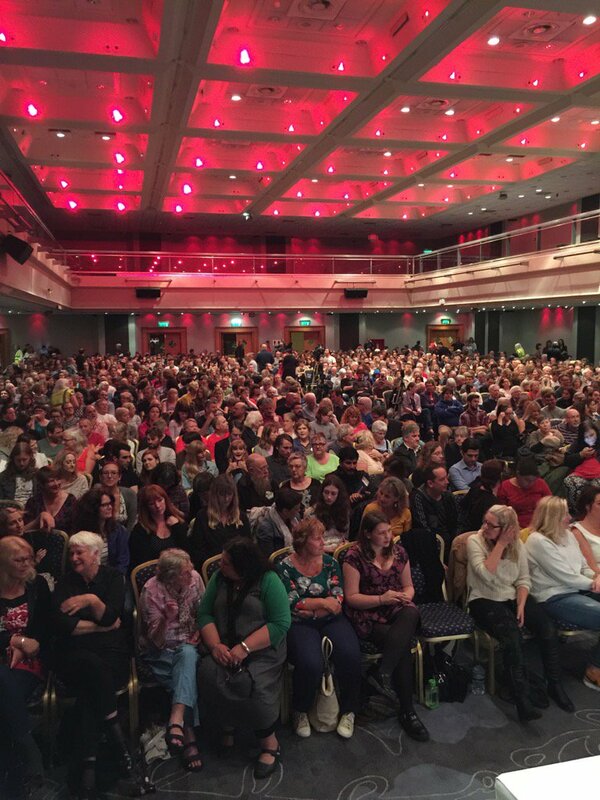 The proposed national conference of Momentum must be brought forward from February to October or November. Corbyn may not be leader by February unless the Momentum organises. The present leadership of Momentum operates by way of patronage and school chumminess. We should oppose this personality cult around Corbyn. He is a human being with all the frailties of a human being. He is widely admired and quite rightly so for his long period of opposition to war and Blair. His refusal to be corrupted and the fact that he was almost alone in being untainted by the expenses scandal, but he is fallible. Corbyn’s walking out of the NEC once he had got on the ballot paper and failing to notice the proposal on the agenda to bar 130,000 members from voting was a catastrophic mistake. There is clearly an element of truth in the criticism Corbyn’s inability to get on top of policy and organisation. We should ourselves be critical, not in order to destroy someone as the Right desires, but in order to spread the collective weight of responsibility. Corbyn has surrounded himself with a group of advisors led by Seamus Milne whose advice has been lamentable. They have served him ill.
One failure is not to respond to media attacks and try and ignore them. One thing New Labour got right was their instant rebuttal unit. Don’t let lies build up momentum. Deal with them at the time. Corbyn also has to shape up and become more aggressive and determined. Corbyn admires Harold Wilson, When Wilson was faced with rumours of a coup and plots before he became Prime Minister he told the Labour Party conference that people had been asking what was going on: ‘I’m going on’ was his response. That should be Corbyn’s response too. There seems to be a woeful lack of preparation for Prime Minister’s Question Time. It was predictable that Cameron would welcome Labour infighting and attack Corbyn remaining as leader. It wouldn’t have taken much to have retorted that an attack from Cameron was proof positive that his decision to stay was the right one. 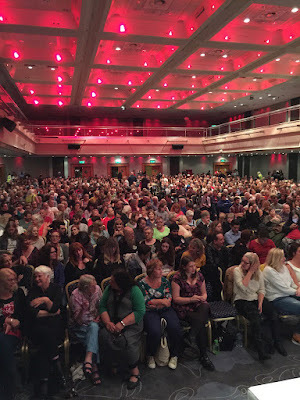 Supporters of Corbyn comprise a large range of the Left. It is an alliance that may succumb to war weariness. Momentum has to show that there is a path to victory, that change is possible and that those who stand in the way, the dinosaurs of the PLP will be relegated to history. Deselection has to be adopted as a weapon in the battle to change the Labour Party. Policy is still an area where the present leadership is, to be blunt, woeful. There still has not been a housing programme, with a clear call for rent controls, security of tenure and an end to the right to buy. Simple and popular demands. Nationalilsation of the utilities has dropped off the agenda despite it being extremely popular since fuel poverty is a real issue as are water bills. The crippling debt that the NHS faces because of the PFI scandal brought about by New Labour should be met with a determination to reverse this theft of the nation’s resources. There should be a statutory reversal of the unfair and one-sided contracts that New Labour signed. It won’t be popular with the rich and powerful and goes against the grain of the capitalist law of contract but if the banks and privatisers can buy national assets on the cheap they can be bought back again cheaply. Corbyn’s proposals for rail privatisation are completely bonkers. To wait till the current contracts mature will take 15 years. If a Labour Government is to have any momentum it has to nationalise rail in one go, like the Attlee government did. This means minimal compensation to the rail companies and immediate nationalisation. It is only possible to overcome the fragmentation of rail if it is nationalised as a whole, not piecemeal. Without boldness and a determination to begin deselection and take the fight to the Right there will be an increasing demoralisation in the ranks of the Left. 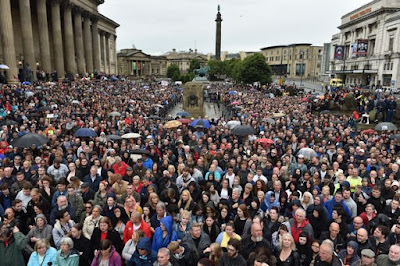 Corbyn’s supporters are not an undifferentiated mass. Those who put their hope in him will, sooner or later, succumb to the argument that Corbyn cannot win a general election. Of course we all know that the policy of the Right is to secure defeat rather than victory under Corbyn which is why appeasing the Right is pointless and counterproductive. The only way Corbyn can become Prime Minister is to serve notice on his opponents and their paymaster Lord Sainsbury, that it is time they departed for another party. Then and only then will the Left in the Labour Party be able to organise for victory. It was less than a week ago that I wrote, based on an article in The Telegraph that ‘Thousands to be expelled for anti-Semitism’ We are now in the midst of a concerted witch hunt in the Labour Party, the likes we have never seen before. Labour Party General Secretary, Iain McNicol, has taken upon himself the mantle, in conjunction with Deputy Leader, Tom Watson, to purge as many suspected Corbyn supporters as possible in an attempt to rig the leadership election. Whether it succeeds is doubtful, what is not in doubt is that the Right are making strenuous efforts to bar anyone who they believe is a Corbyn supporter. If McNicol was responsible for running a Parliamentary or Local election then he would be guilty of corrupt electoral practices and be liable to a prison sentence. We should bombard the Electoral Reform Services with messages or ring 020 8365 8909 to complain about how what is happening is tantamount to fraud. 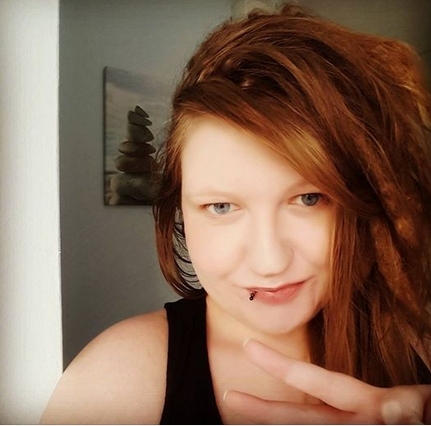 We have a unique situation where those who are holding the election are actively seeking to debar people from voting if they support one particular candidate. McNicol’s Compliance Unit is actively seeking out social media posts and tweets and then banning people because they have mentioned or used words like ‘scum’ or ‘Blairite’. Active trade unions like Ron Draper, leader of the Bakers Union, have been debarred from voting. John Dunne, an ex-Miner and Secretary of the Justice for Mineworkers Union has been suspended. Hundreds of people up and down the country have been suspended or debarred as part of this witch hunt. It is illustrative of the Right that the only way they think they can win is by stopping people vote. 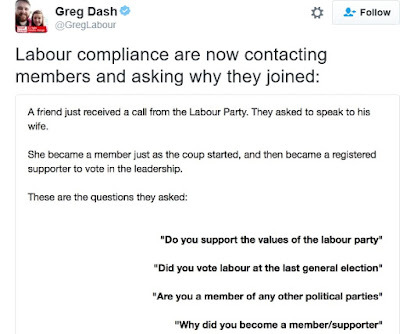 That is the pathetic nature of Progress and people like Luke Akehurst. Unfortunately a group of people on the National Executive Council, and it must be presumed that this includes Anne Black, the so-called grassroots left candidate, are actively collaborating in this witch hunt. What is particular outrageous about the suspensions and purge is that the Right can get away with any amount of abuse without any action being taken against them. Michael Foster, the Zionist millionaire who tried to stop Corbyn even being on the ballot paper, wrote an article in the former Hitler supporting Daily Mail accusing Corbyn and his followers are being SS Stormtroopers. Despite such Holocaust comparisons apparently being outlawed following the Chakrabarti Inquiry no action has been taken against Foster. And despite anyone who ever supported another party being disbarred from voting, Lord Sainsbury, who donated £2m to the Lib Dems last year is being allowed to vote. Strange that, but then again not very strange because non-socialists are always welcomed by Progress and their supporters. “The decision by Labour Party officials to suspend the Bakers’ Union leader Ronnie Draper from the party and deny him a vote in Labour’s leadership election over unidentified media posts is shocking, and appears to be part of a clear pattern of double standards. “While Ronnie, a supporter of Jeremy Corbyn, has been denied his say in Labour’s election no action is being taken over the Labour peer Lord Sainsbury, who has given more than £2m to support the Liberal Democrats. 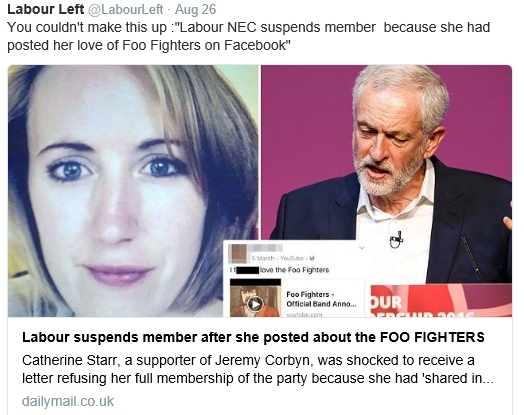 “And no action has been taken against Michael Foster, the Labour Party member who abused Jeremy Corbyn’s supporters and staff as Nazi stormtroopers in the Daily Mail. “Both will, as things stand, be able to vote in this election. Meanwhile thousands of other members and registered supporters are reported to have been denied a vote without being given an explanation or opportunity to challenge the decision or process. 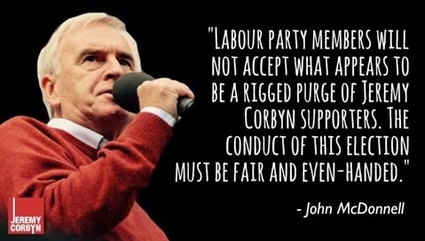 “Labour Party members will not accept what appears to be a rigged purge of Jeremy Corbyn supporters. The conduct of this election must be fair and even-handed. “I am writing to Labour’s General Secretary Iain McNicol to demand that members and supporters who are suspended or lose their voting rights are given clear information about why action has been taken and a timely opportunity to challenge the decision. Jeremy Corbyn has also expressed concern in what was a weak statement which said he was writing to Iain McNicol. 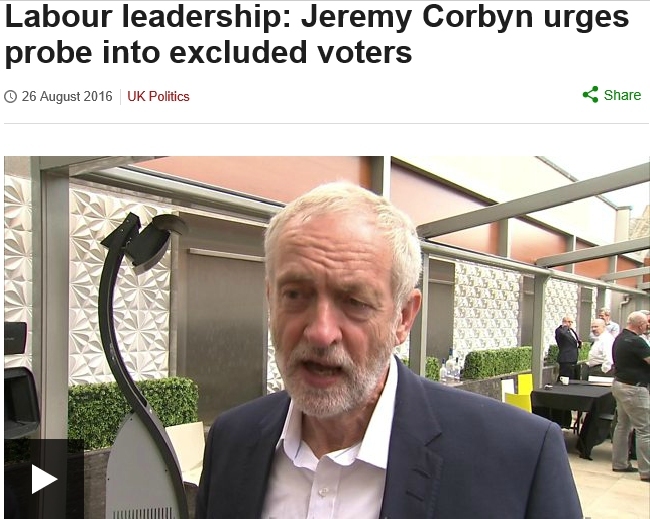 Corbyn spoke to Sky News and claimed to be very concerned that some people have been removed from the ability to vote in this election. That is not good enough. Writing to McNicol is useless. The NEC should be recalled and a proposal made to put an end to this nonsense and to suspend McNicol pending an investigation. In the meantime don’t help the witch hunters. 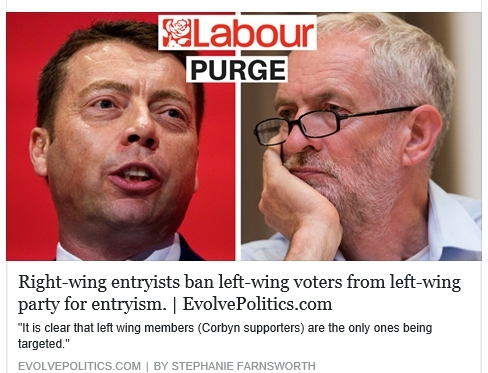 Billy Casper has produced Purge-Proofing for Labour Supporters: A Handy Guide, do read it. One particularly irresponsible post was that of Alan Thomas Friend and Unblock Natasha Allmark — A word to the left. 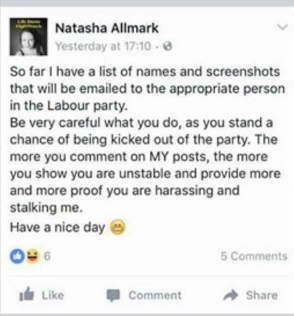 Irresponsible because there is a lot of direct evidence that Ms Allmark has indeed been threatening people with informing on them, that her politics seem remarkably flexible, e.g. 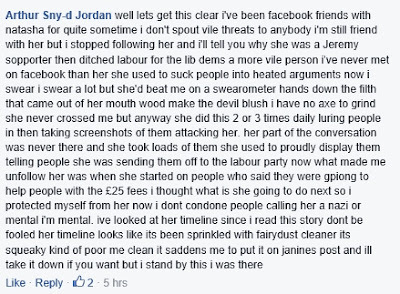 she is apparently a member of the Lib Dems, has attacked Corbyn and yet claims to have voted for him. Work that one out! Fancy That - From Lib Dem hater of Corbyn to member of the LP in just weeks!! 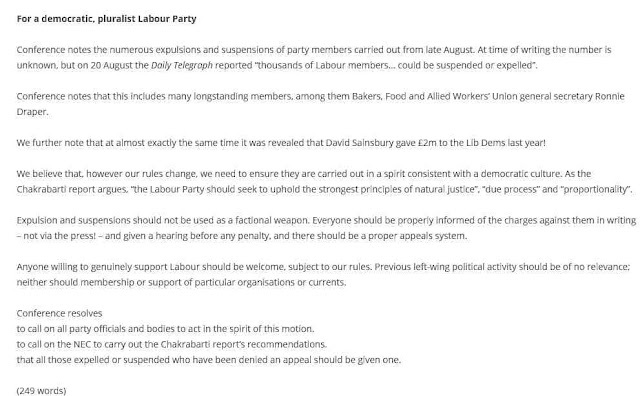 This is not the first time that I have been suspended from the Labour Party. 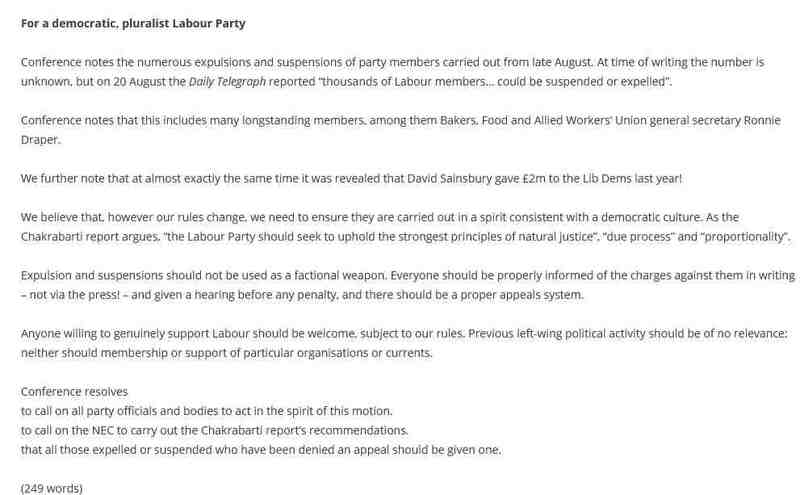 In 1992 I was suspended in the Kinnock purge which saw about 30 members of Brighton & Hove Labour Party suspended or expelled. In a further rerun of history, Brighton Labour Party (which then consisted of just the 2 Brighton constituencies not Hove) was also suspended. This was at the behest of his Nobleness Lord Bassam, who has played a minor bit part role in the current witch hunt. Bassam is the Labour leader in the House of Lords, who have declared UDI from Jeremy Corbyn. I shall dig out and put on line a pamphlet I wrote years ago The Noble Sayings of Lord Bassam, which retailed things Bassam had said when he was on the Left. 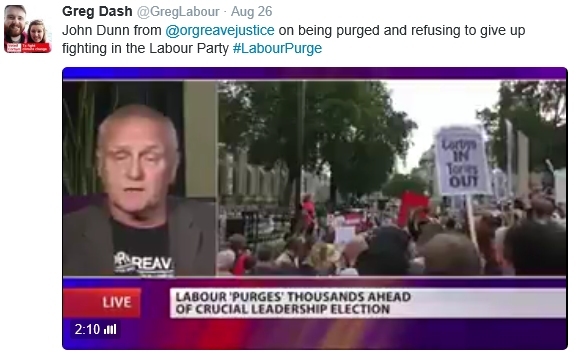 I recall this because when I was suspended nearly a quarter of a century ago, I was interviewed at the offices of Hove Labour Party by Joyce Gould, Labour's then Witchfinder General. 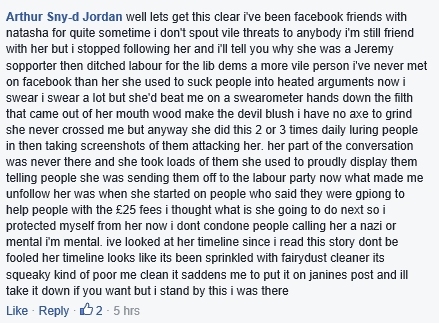 I had been sent a copy of her investigation report into Brighton Labour Party and it had made interesting reading. A left wing member of the National Executive Committee, whose name shall not be disclosed, even after all these years, handed it to me. Lady Gould was not at all amused and asked me who had given it to me. My reply was to tell Ms Gould that being Jewish she would understand that there is nothing lower in the eyes of Jewish anti-fascists than the informer, the low life who sent thousands of Jews living incognito under Nazi occupation to the gas chamber or the Gestapo torture chamber in return for their own freedom or often not even that. 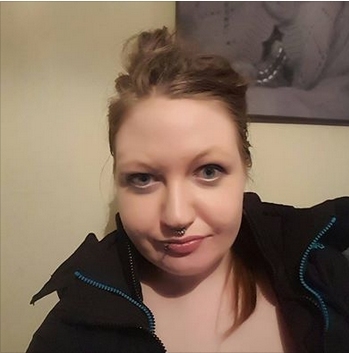 'You will therefore understand why I am unfriending and blocking you. There is nothing more despicable in life than an informer. Thousands of Jews living incognito under Nazi occupation were betrayed to the Gestapo and thus died in the extermination camps because of informers. 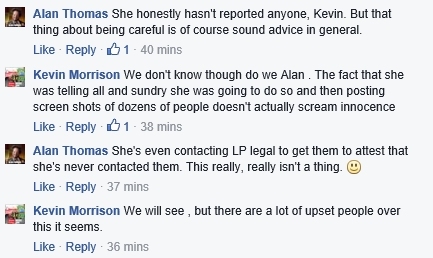 If the allegation is correct, as it would appear to be, then you should be thoroughly ashamed of yourself. Doing the dirty work of the corrupt General Secretary of the Labour Party Iain McNicol. As someone already suspended from the LP I am unconcerned about what I write being passed on but that does not excuse you. This is the state of the Labour today as the Right endeavours to win the leadership election by hook and by crook, by removing the right to vote of ordinary members on the most spurious basis. 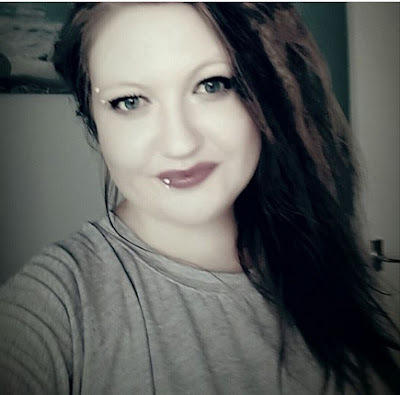 I therefore advise anyone who is a member of the LP to block this woman immediately and unfriend her. You judge a society, any society by its treatment of its children. Israel is a society which treats its own, Jewish children very well. Israeli Jewish children have all the safeguards and protections that one would expect in this country. But when it comes to Palestinian children then they are shackled when they go to court, when they are interrogated, they are thrown into tiny, stinking cells, they have no automatic right to a lawyer in the military courts of the West Bank, they cannot see their parents as of right. And the chance of a Palestinian child, or indeed anyone, being acquitted in a Military Court is slender. Some 99.7% of those who appear in them are convicted. Even the courts of Stalin and Hitler had higher acquittal rates. Israel acts and is a police state for Palestinians. And now the Israeli Parliament, the Knesset has passed a law which will allow all children, including those inside Israel to be arrested and imprisoned from the age of 12. But there is just one catch. It will never be used against a Jewish child. It is purely there to be used against Israeli Arab children who protest or throw stones etc. It is normal practice after a child has been held in solitary confinement or beaten for them to be expected to sign a confession in a language, Hebrew, which they don’t understand. Military courts however have no problem with this. Yet there are those in British politics, whether it is the detestable Joan Ryan MP, who Chairs Labour Friends of Israel, or Owen Smith MP who defends Israel unconditionally or our own Hove MP Peter Kyle. The Labour Right and most of the Conservative Party have a blind eye to Israeli human rights abuses in just the same way as they turn a blind eye to Saudi Arabia’s genocidal bombing of Yemen. 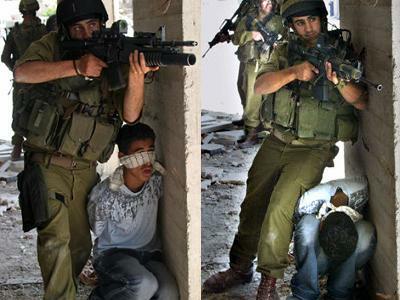 This brief video illustrates the fear instilled in young Palestinians, mostly boys, arrested by Israeli occupation forces, often during night raids. Produced by Defense for Children International – Palestine (DCIP), it features 14-year-old Osama, who was taken from his home in the West Bank during a raid at 3am one night. “It was the worst feeling to be far away from family and friends,” Osama says. He spent four months in an Israeli prison for allegedly throwing stones. In a report released at the end of July, Human Rights Watch lists Israel among six countries that have adopted far-reaching “counterterrorism” policies that have led to sweeping arrests of children. “The indefinite detention and torture of children needs to stop,” said Jo Becker, the organization’s director of children rights advocacy. Not a week goes by when about a dozen to as many as 38 Palestinian children from the West Bank, including East Jerusalem, are arrested. 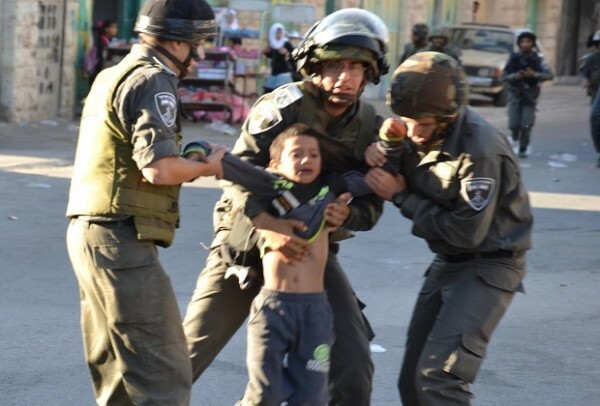 In June, Israel extended administrative detention orders for seven children. Israel appear to be increasing the use of solitary confinement against Palestinian child detainees to pressure them during interrogations. One 16-year-old boy spent 22 days in isolation. “The practice of using solitary confinement on children, for any duration, is a clear violation of international law, as it amounts to cruel, inhuman or degrading treatment or punishment, and in some cases, torture,” said Ayed Abu Eqtaish, accountability program director at DCIP. Israel doesn’t use solitary confinement for disciplinary, protective or medical reasons, according to DCIP’s documentation, but as an interrogation tool. Children are confined in cells that barely fit a mattress while they undergo lengthy interrogations during which Israeli authorities attempt to extract confessions or more information on other people, according to DCIP. “The cell was closed tightly and had no windows, except two ventilations gaps,” 17-year-old Rami K. told DCIP. Rami was held for 16 days in isolation while being interrogated. The interrogation was drawn out over hours, during which his wrists and ankles were bound to a metal chair. Israel defended its treatment of children earlier this month, following criticism by several countries at the United Nations Security Council. Amit Heumann, the legal adviser to Israel’s UN mission, blamed Palestinians for Israel’s treatment of them. “It is the responsibility of leaders everywhere to protect children at all costs, to protect them from the ravages of war and to shelter them in a protective environment, where children can thrive,” he said. 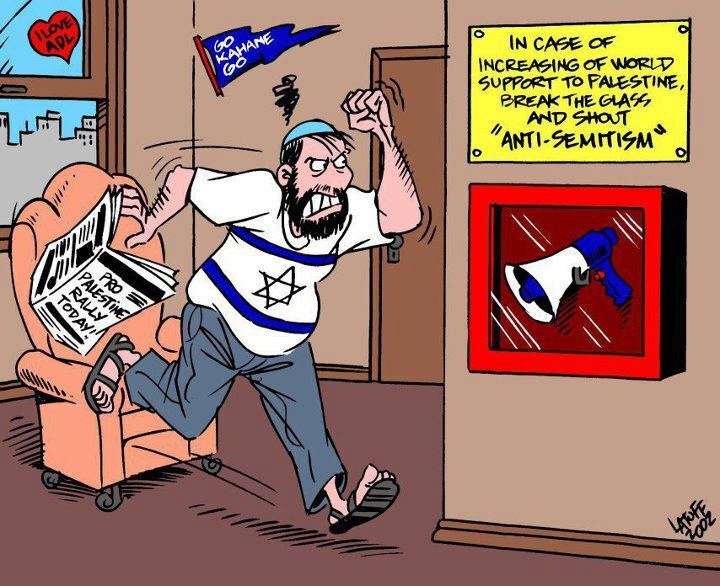 Such debunked claims that “incitement” – rather than the reality of Israel’s military occupation – are to blame for violence, have long been a staple of Israeli government propaganda. 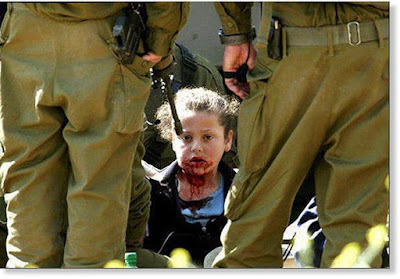 In its report, Human Rights Watch criticizes Israel’s treatment of Palestinian children under its occupation regime in the West Bank, where 500 to 700 children are brought before military tribunals annually, and an average of 220 children are held in prison each month. But the line between Israeli civil and military law regarding children has become increasingly difficult to discern since violent confrontations between Palestinians and Israeli forces escalated in October 2015. Last week, the Israeli parliament passed a new law allowing the imprisonment of children as young as 12. 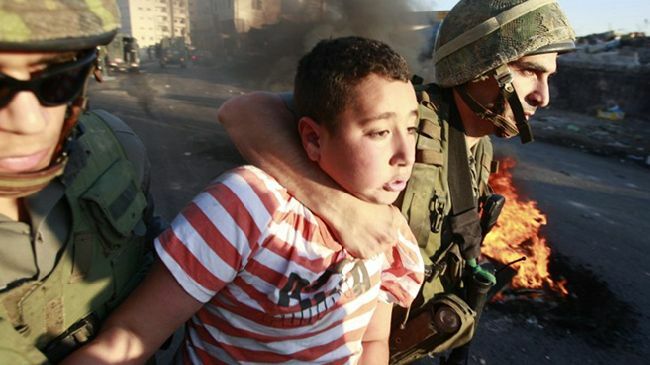 Israel’s military regime in the occupied West Bank has always allowed the detention of 12-year-old Palestinians. According to DCIP’s statistics, of the 440 Palestinian children in Israeli prison in February, 104 were between the ages of 12 and 15. This represents a four-fold increase from the number of young teens in prison prior to October 2015. And though the law ostensibly applies to Jewish and Palestinian citizens of Israel alike, it was explicitly created to target Palestinians. Imprisoning 12 and 13-year-olds will be permitted in cases where the child is convicted of so-called terrorism, a charge that almost exclusively applies to Palestinians. The Association for Civil Rights in Israel warns that the Israeli parliament may soon allow life sentences for children under 14. This is the latest amendment to Israel’s penal code that expands the criminal culpability of Palestinian children in order to allow harsher penalties. Last year, the Israeli parliament imposed mandatory minimum sentencing and extended the maximum sentence on people who throw stones at traffic. Israel also revived administrative detention against Palestinian children ostensibly living under Israeli civil law in the last year.